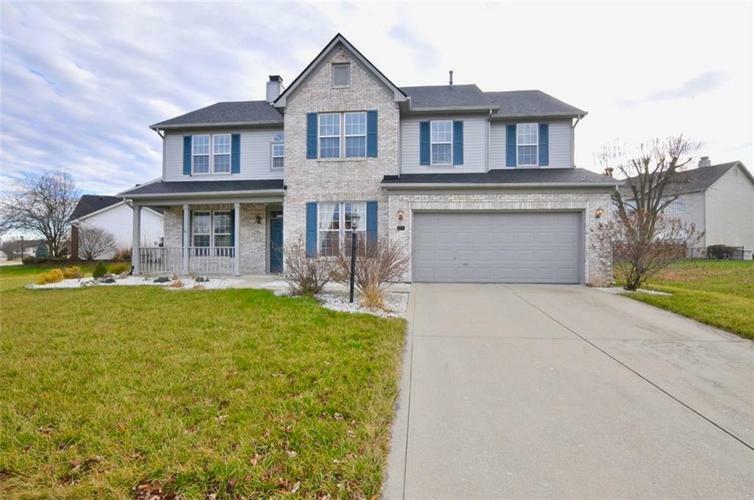 Don't miss the opportunity to OWN this well maintained 5 bedrooms home in sought after Center Grove. Covered front porch WELCOMES you home. Walk into the entry way leading to an AIRY family room bathed in sun light. Main level FEATURES a formal dining room and office. Bedroom and a full bath conveniently located on main level can be used as a GUEST bedroom or IN-LAW quarters. Four SPACIOUS bedrooms on second level. HUGE laundry room - washer and dryer included. Kitchen w/island and breakfast nook OPENS up to the family room. Walk-in pantry. NEWER stainless steel kitchen appliances included. York VFD two stage furnace w/air conditioner/heat pump 2007. Roof 2012. Water heater 2014. Carpet 2016 w/10 year warranty and lifetime stain warranty. Directions:Take Olive Branch Rd, west of St Rd 135, to Willshire Dr (entrance of Olive Branch Manor) and follow to house.